Court-ordered child support is not an optional obligation, and the State will go to great lengths to force a parent to pay. Simply because a parent is struggling to pay support does not mean he/she can unilaterally choose to stop without violating the law. Changes to the payment of child support must be approved by a judge to ensure the child is receiving adequate support, and requested changes to increase or decrease this obligation often trigger sharp opposition from the other parent. Judges need to see sufficient reason to change the amount, in light of the fact that it was set based upon the State’s extensive formula that takes a number of factors into consideration, and until proven otherwise, is still a valid finding. There is a specific standard parents requesting the modification of child support must meet to be successful, and circumstances that need to be proven to merit a change are somewhat strict. Singer R. Kelly is finding out this truth as he seeks to lower his child support payments in light of a recent arrest for failure to pay overdue child support. Once child support is set, changing it is not easy or granted arbitrarily. 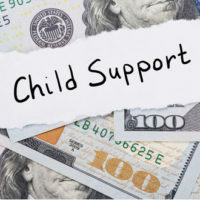 Florida law has specific rules on when child support may be modified, and requires a substantial change in circumstances occur before the support amount will be changed. Modification is automatically valid if the changed circumstances would result in an increase or decrease of $50 or 15 percent, whichever is greater, when applying the child formula on the parents’ present income and expenses. Either parent may petition for modification, and the parents are not permitted to agree that child support is non-modifiable or to waive this obligation. There is no specific definition that indicates what qualifies as a “substantial change,” which means courts have discretion when evaluating these requests. However, there are generally three circumstances that warrant a modification – a change in income, a change in parenting time allocation, and a change in child-related expenses. There is no minimum or maximum change in income that must occur before modification can be requested, but the new incomes must result in a change of $50 or 15 percent above or below the previous calculation. Job loss, major illness, or an increase in income are the most common reasons this adjustment would be needed. In addition, substantial changes to the number of overnights a parent is responsible for the child can also trigger a modification to child support. The actual pattern of overnights, as opposed to the number allocated in the parenting plan, controls this determination, but the parent with fewer overnights must have the child for at least 20 percent of the time for this reason to matter. In other words, if the parent has the child less than 73 nights per year, even if the number exceeds what is stated in the parenting plan, this is not enough to justify a modification of child support. Health insurance, with drastic changes in the premiums necessitating a modification of child support. Child support obligations are a common source of dispute. If you have questions about enforcing or modifying a current order, talk to the family law attorneys at Baginski Brandt & Brandt about your options. This issue usually needs a quick resolution, so do not hesitate to contact us about scheduling a consultation. Call our Port St. Lucie child support attorneys today at 772-466-0707 for confidential consultation.